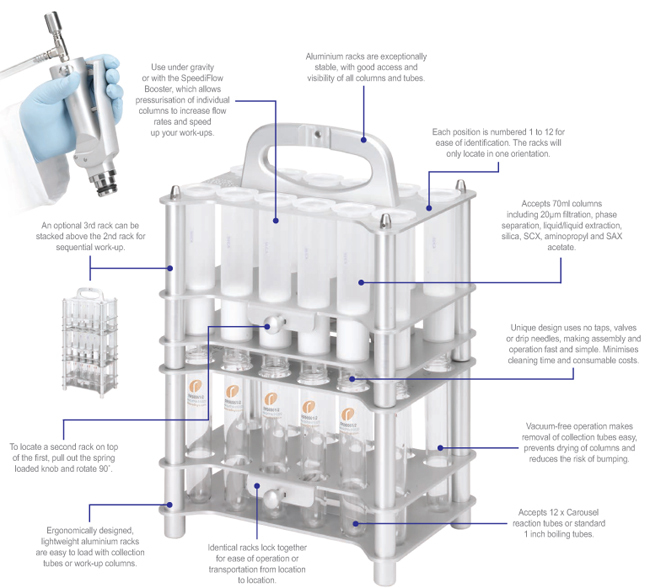 The Carousel Work-Up Station facilitates parallel or sequential work-up of up to 12 samples, using filtration, phase separation, liquid/liquid extraction or SPE techniques. 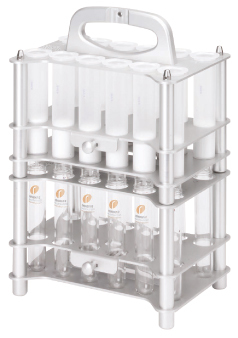 The Carousel Work-Up Station accepts 12 x 70ml columns loaded into one of two identical stackable racks. The lower rack supports 12 corresponding Carousel reaction tubes or standard 1 inch boiling tubes for subsequent sample collection. SpeediFlow Booster increases flow rates to speed up your work-ups.